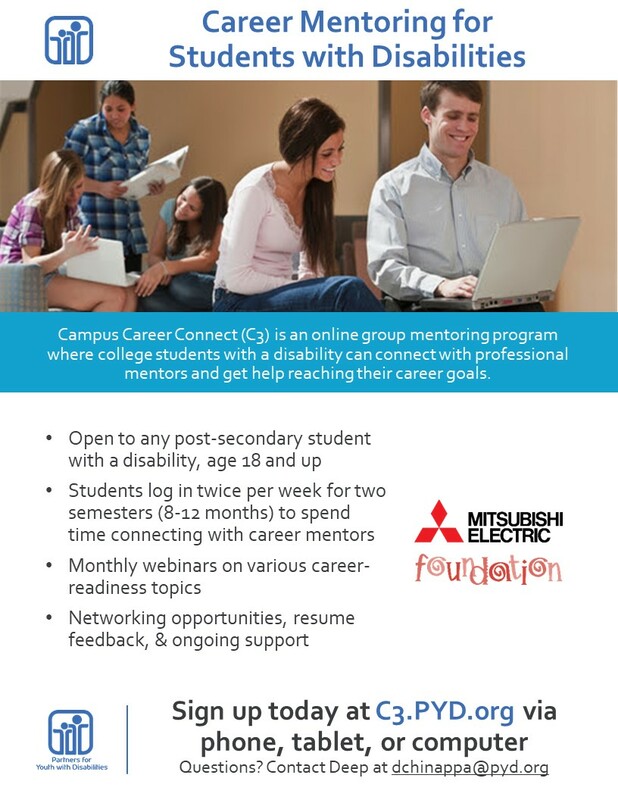 Partners for Youth with Disabilities (PYD) is excited to announce that we are expanding Campus Career Connect (C3), our e-mentoring program to support college students with disabilities, across the entire United States. The C3 network was designed specifically to support young adults with disabilities in improving their employment outcomes, including securing internships and jobs in their field of choice. 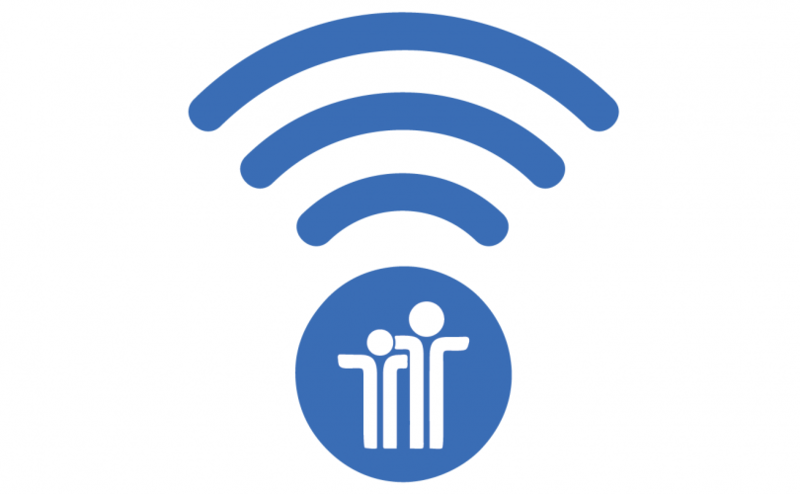 Through the network, college students with disabilities access professional and peer mentors to increase their networks, receive advice, and gather support about achieving goals. They also participate in topical webinars related to employment readiness, and engage in live networking and interview opportunities. Over the last two years, through funding from Mitsubishi Electric America Foundation and the Milbank Foundation, C3 has successfully supported students in the Northeast, targeting students in Massachusetts, Maine, and Connecticut through partnerships with Work Without Limits, Maine Chamber of Commerce, Disability:IN Connecticut, and National Organization on Disability Campus to Careers Program. This next phase of expansion has been funded by Mitsubishi Electric America Foundation, and will include a collaboration for student and volunteer recruitment with Uinta County Disability:IN in Wyoming. Campus Career Connect is now open to any college student with a disability. We are especially eager to support community community college students with disabilities. Read more about online mentoring on our website, or sign up now at c3.pyd.org!